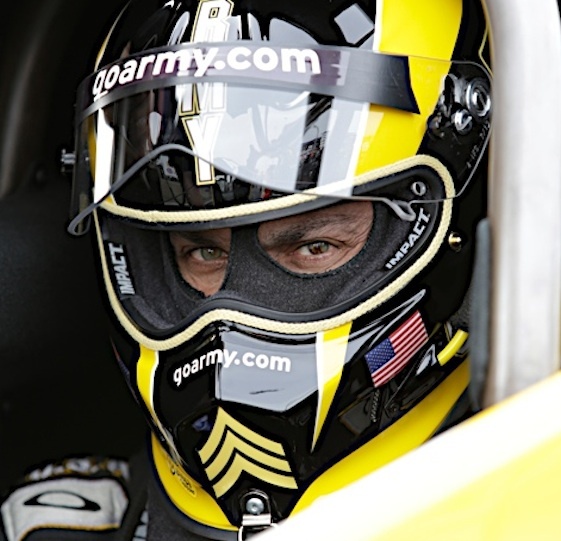 Lack of sponsorship will prevent eight-time NHRA Top Fuel world champion Tony Schumacher from competing in this weekend’s prestigious 59th annual Lucas Oil NHRA Winternationals. The event at Auto Club Raceway at Pomona in Southern California is the 2019 season-opener for the NHRA Mello Yello Drag Racing Series. Schumacher, the 49-year-old son of team-owner Don Schumacher, announced the shocking decision Monday on his Facebook page. Schumacher is the winningest driver in Top Fuel history with 84 national event victories, 87 pole positions and a qualifying streak of 367 races dating to Heartland Park Topeka in 2003. Schumacher’s longtime primary sponsor, the U.S. Army, exited DSR and the sport at the end of the 2018 season. Schumacher finished second in the 2018 Countdown to the Championship playoffs standings to first-time world champ Steve Torrence and his Capco Contractors/Torrence Racing team by 304 points. The Army had served as primary sponsor of “The Sarge” for nearly 19 years. The decision to sit out the Winternationals was confirmed via the introduction to the 2019 “Don Schumacher Racing Media Guide” posted online Tuesday morning: “Please note, Tony Schumacher will not compete in Pomona. DSR is actively seeking sponsorship for the Schumacher-piloted Top Fuel machine and looks forward to campaigning three dragsters during the 2019 NHRA season. Schumacher earned championships in drag racing’s premier class in 1999, 2004 through 2009 and 2014. His runnerup finish in 2018 marked his 20th consecutive top-10 point result. DSR will launch into the schedule with entries for three-time Top Fuel world champion Antron Brown and Leah Pritchett. DSR’s Funny Car lineup features two-time world champion Matt Hagan, 2012 world champ “Fast” Jack Beckman, 2016 world champ Ron Capps and Tommy Johnson Jr. Reigning NHRA Top Fuel world champion Steve Torrence exited preseason testing determined to maintain the status quo. Torrence recorded the quickest 1,000-foot pass during four days of testing at Wild Horse Pass Motorsports Park in Chandler, Ariz., near Phoenix, last weekend. Torrence wheeled his Capco Contractors/Torrence Racing dragster to a 1,000-foot pass in 3.689-seconds at 328.78 mph during Thursday’s session. The native of Kilgore, Texas, made history last season by sweeping all six rounds of the Countdown to the Championship playoffs. Brittany Force, the 2017 Top Fuel world champ, powered her Advance Auto Parts dragster to a run of 3.700-seconds at 321.27 mph on Saturday. Force and new crew chiefs David Grubnic and Mac Savage took things slowly as the team got acquainted. Part-time racer Billy Torrence, Steve’s father, rounded-out the top three with a run of 3.731-seconds at 325.14 mph on Friday, while three-time world champion Antron Brown was sixth at 3.769 and 293.73. Two-time Funny Car world champion Robert Hight led the “flopper” category with his 1,000-foot pass of 3.863-seconds at 326.87 mph in the Auto Club of Southern California Chevrolet Camaro SS on Friday. Hight finished the 2018 season second/194 points behind first-time world champion J.R. Todd of Kalitta Motorsports. Todd posted the second-quickest pass of the session with a 3.868-second run at 324.36 mph in his DHL Toyota Camry, while 16-time world champion John Force was third at 3.894 and 331.61 on Saturday in his PEAK Coolant and Motor Oil Chevrolet Camaro SS. Brute Force was fairly consistent throughout the weekend working with his new team headed by crew chiefs Brian Corradi and Dan Hood. Corradi and Hood tuned Courtney Force’s Funny Car to four wins and 11 poles during her career-best season in 2018. Courtney Force shocked the motorsports word on Jan. 24 when she announced via press release she immediately was stepping away from her driving duties. “I was on the phone with Courtney and she’s teaching me how to drive this car,” John Force said. “It’s a little different and the guys starting the car and how they do on the starting line, it’s all fun stuff. She has really helped me and I know she’s missing it out here, especially her team, but I’m happy she’ll be at Pomona. She’s helped me so I ran OK.
John Force Racing’s fourth/developmental team made an appearance at the end of the test session in Chandler, Ariz. Austin Prock and crew chiefs Jon Schaffer and Ronnie Thompson tested on Saturday with plans to make passes in a Top Fuel dragster and potentially a Funny Car. Top Fuel _ 1.Steve Torrence, 3.689-seconds, 328.78 mph; 2. Brittany Force, 3.700, 321.27; 3. Billy Torrence, 3.731, 325.14; 4. Jordan Vandergriff, 3.738, 325.85; 5. Mike Salinas, 3.747, 296.24; 6. Antron Brown,3.769, 293.73; 7. Doug Kalitta, 3.780, 289.07; 8.Richie Crampton, 3.780, 275; 9. Clay Millican, 3.810, 296.44; 10. Scott Palmer, 3.921, 242.50; 11. Greg Carrillo, 5.057, 142.94; 12. Jim Maroney, 10.972, 46.22. Funny Car _ 1. Robert Hight, 3.863-seconds, 326.87 mph; 2.J.R. Todd, 3.868, 324.36; 3. John Force,3.894, 331.61; 4. Shawn Langdon, 3.905, 327.35; 5. Matt Hagan, 3.959, 319.22; 6.Bob Tasca III, 3.972, 310.20; 7. Jonnie Lindberg, 3.990, 309.56; 8. Chad Green, 4.090, 252.80; 9. Cruz Pedregon, 4.377, 200.11; 10.Tim Wilkerson, 4.469, 184.02.